When superheroes make a mess who cleans it up? ABC and Marvel Studios is looking to answer that question by bringing Damage Control to the TV. The show, which was first reported on by The Hollywood Reporter, is slated to be a half hour comedy. It will be based on the short run comic series that originally ran in the late 80’s. 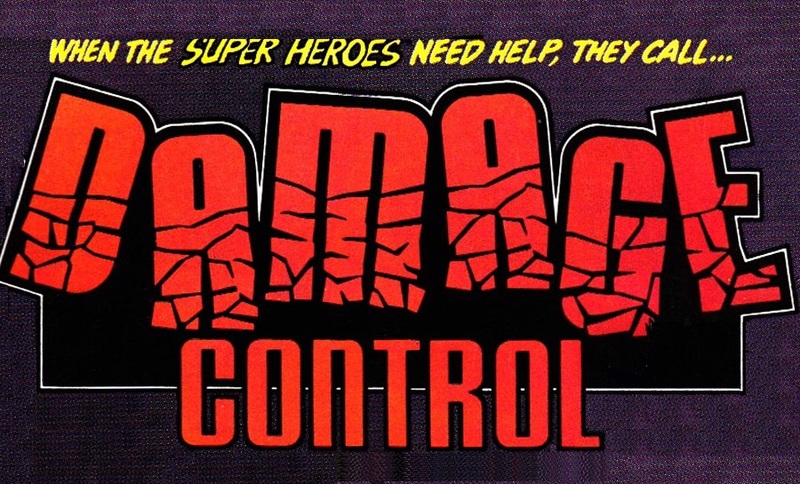 Damage Control centers on the overworked and underpaid clean-up crew of the Marvel Universe. Their specialty is dealing with the aftermath of the unique fallout from superhero conflicts, like returning lost ray guns to their rightful owners, rescheduling a wedding venue after it has been vaporized in a battle or even tracking down a missing prize African parrot that’s been turned to stone or goo. Sometimes the most important heroes are the ones behind the scenes. With all the destruction that goes on the Marvel’s films this is an idea whose time has come. They could easily take a whole season exploring the damage that comes from each subsequent movie that comes out, or even flash back to prior films. I’m sure we could easily get two seasons out of the first Avengers film alone. And with ABC also the home of Agents of S.H.I.E.L.D. those two shows could potentially crossover. But with the serious tone that Agents has, I highly doubt that would happen. This entry was posted in Film, Marvel, TV and tagged Damage Control, Marvel, MCU. Bookmark the permalink.